Once again BSNL free GPRS for New Year 2014, After So Many request from User we Just found a new Proxy Tricks for BSNL Users. This Trick is 100% working Tricks for BSNL User, This trick is Tested in Goa, Maharastra and Delhi. Friends This is Exclusive BSNL GPRS Trick working All over India. 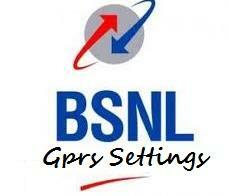 Enjoy Friends Now you will be able to Use free Unlimited BSNL GPRS for Browse and Downloading.